Sibell 5 Megapixel Security Cameras provide exceptional resolutions at 22592 x 1944 and are perfect for applications where you need to capture the finest of details. 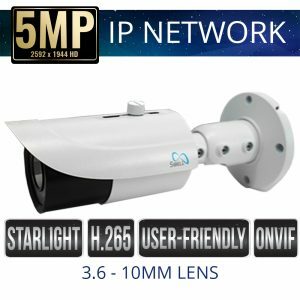 5 Megapixel IP Network Cameras are great for applications where a crowd may gather or a busy street where an incident may occur. In crowds you may need to zoom into the video to capture what really happened in that space. 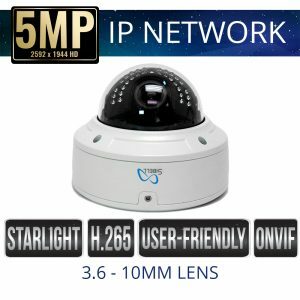 Sibell 5 Megapixel Cameras a great for indoor or outdoor applications, work great with ONVIF devices and run seamlessly with Sibell Network Video Recorders.